The LY6 engine came in Chevy and GMC 2500HD series trucks, vans, and full-size SUVs from 2007-10. The rugged iron block 6.0L came with VVT, but without AFM, which saves you the cost of an AFM delete kit. You also get the sturdy 4th-gen full-floating connecting rods and a boost-friendly 9.6:1 compression ratio. Most 6.0L truck engines came with cathedral-port heads. The LY6 (along with the LC8, L76 and L96) came with high-flowing LS3-type rectangle port heads. It should be noted that the L96 engine is nearly identical to the LY6, with the only difference being that the L96 came flex-fuel capable from the factory. For many people, upgrading an LY6 starts with adding a cold air intake and aftermarket exhaust. This will definitely free up a few horsepower and the V8 burble will make your ride the center of attention at a stop light. Torque limiting can be completely shut off, shift points can be raised and it makes it easier to tune for a bigger cam and injectors later on. Before beginning the tuning process, we recommend installing a colder thermostat to open up the LY6 tuning window. Below are some more upgrades you can make to improve the performance of an LY6 engine. At 196° of intake duration and .467 in. lift, the LY6 cam isn’t a bad choice. An LS3 or LS9 cam makes good power, but not where you want it if you’re using the LY6 engine in a truck. What you need is a cam that delivers a gut-punch right when the converter hits. We recommend a dedicated truck cam. 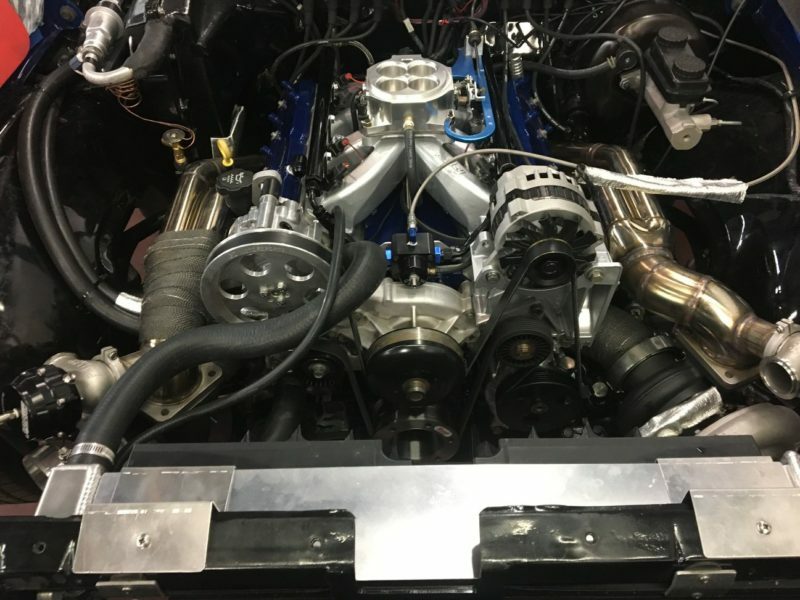 There are a few other parts needed for a LY6 cam swap such as an LS2 timing chain, LS7 spec lifters, LS2 timing chain damper and thick-wall chromoly pushrods. In general, an LY6 upgrade will involve adding boost or nitrous before starting any serious work on the cylinder heads. A nitrous oxide kit (at low settings) is great for street driving with stock internals. Up to a 200-shot is common. Keep in mind the tight piston ring gap is the limiting factor beyond that. If you’re wanting to get serious, a single plane intake is less prone to break from a nitrous backfire. A plate system has better distribution than the original intake, but an eight-nozzle fogger system is even better. Running higher octane fuel is advised. The early injectors don’t flow as much as the later injectors. We recommend looking at the injector’s part number before taking it to the tuner. Flex-fuel engine injectors are a common upgrade and good injector characterization numbers are available to maximize idle quality. If you use the shorter L94/L9H 54 lb. injector (part number 12609749), a spacer will be required to fit the fuel rail. The factory pump is good to about 430 whp. Many fuel system upgrade options are available including using the flex-fuel pumps which are good for another 100+ whp, but the modules (baskets) are different and it may be easier just to swap the entire tank. One last note on tuning: The LY6 has a 58x reluctor ring and isn’t compatible with the early ECMs. It’s best to keep the E38 ECM as it’s faster and tunes better with bigger cams. If you have the LY6 in a vehicle with deeper gears, bigger converter, cam, and the rev limit bumped, you may want to trade a little of that low-end torque for some top-end horsepower. If so, go with a tunnel ram. Gains of 35 whp are possible with the crossover point starting at around 5,500 rpm. The LY6 cylinder heads are similar to the LS3 heads, and make good power. On the LY6, the pistons are the weak link and you probably know a guy that’s popped one. They have stronger wristpins, thicker ring lands, and the added valve reliefs allow you to run big cams. If you’re going over 800 hp, a set of .200 wall tool-steel pins is a good idea. The LY6’s Gen. 4 rods are stronger than the Gen. 3 rods and have full floating pins. They can handle about 800 hp and 7,000 rpm in boosted applications (at least for a while). They are likely to bend before they break when subjected to real track conditions. The LY6 crank was cast but strong. They’ve been known to handle over 1,000 whp. The LY6 has a 4.000-in. bore diameter and can be safely bored to 4.030 in. Hey Bruce. We’re sorry we missed your comment. Just saw it. 1. 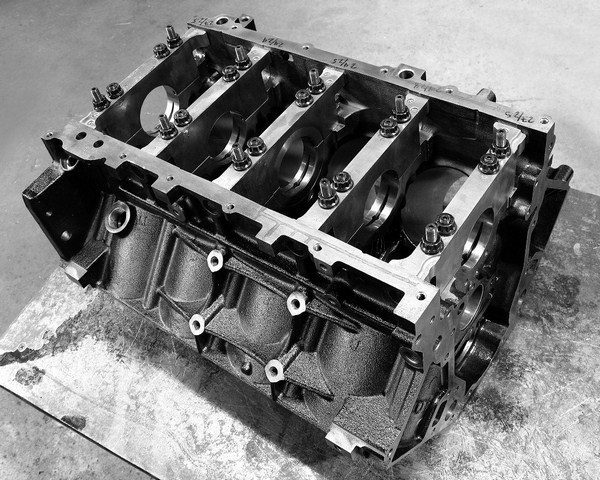 We haven’t compiled any big-block Chevy engine specs as part of our ongoing project. We are currently in the middle of releasing both an Engine Spec guide and an Engine Upgrade guide for each of the LS and LS-based Vortec engines (which are obviously small blocks). They’re being published once per week, usually on Thursday. The 8.1L L18 Vortec 8100 is not an LS-based engine since it’s a 496 c.i.d. big block. 2. 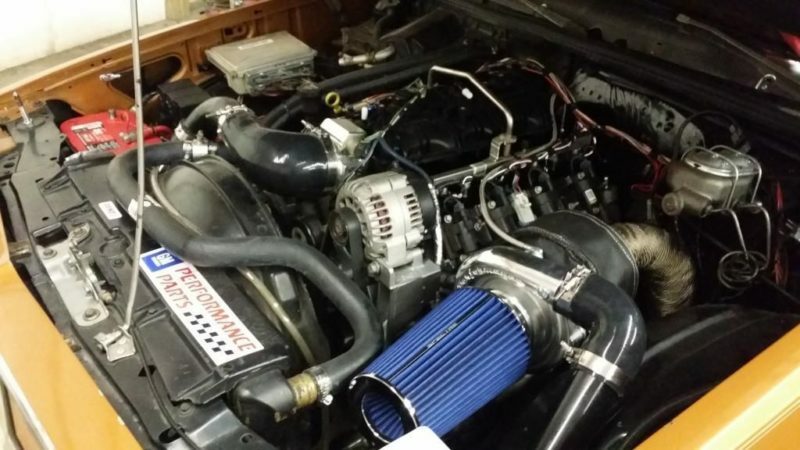 Here is the closest thing we could find an engine spec sheet for this monster 8.1L Vortec. If you’re doing something crazy (or responsible, even) with an 8.1L, we’d love to hear about it. I forgot to mention that I’m ditching the block only. I will still have the LS3 for parts as they are needed, sensors etc. 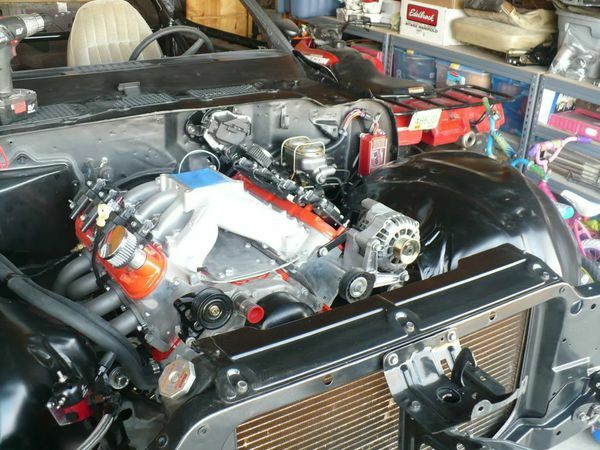 I’m mostly comcerned if my factory TR6060 with a Monster twin-disk LS3 clutch will bolt up to the LY6 block. Thanks again. I am swapping my 2012 silverado 5.3 for a ly6? I want the 408 stroker. What crank, rods, pistons, cam, bolts, rockers, heads, etc?